Danny Bilson is a writer, director and producer based in Los Angeles. 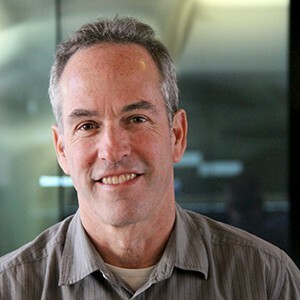 After a long television and film career at Warner Brothers, Disney and Paramount, Bilson served as a senior executive at both Electronic Arts, and THQ. Danny has experience developing transmedia properties in film, video games, TV, theme parks and comic books. He has recently consulted at Walt Disney Imagineering on a number of projects as well as developed a new animated property in partnership with Film Roman and a drama series with Sonar Entertainment. Bilson has been on the faculty of the USC School of Cinematic Arts since 2005, where he teaches screenwriting, narrative design and currently leads the Advanced Games Project.